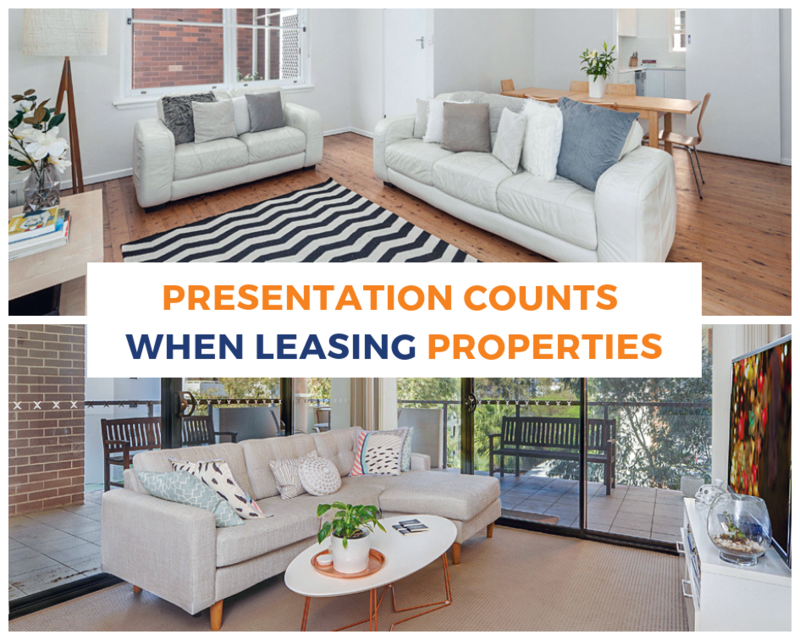 Presentation counts when leasing properties too! home > Managing > Renting > Presentation counts when leasing properties too! Most times when we undertake the leasing and marketing campaign in our property management department, the presentation of the property is a result of the last occupying tenant. Sometimes, it can be vacant or the property might be occupied by a Landlord prior to market. There is much to gain by getting the presentation of a rental property to a high level of appeal. It will set it apart to it’s competition. This is especially true and important in a tough rental market when properties are harder to lease. In the first instance, the gain comes from the highest level of rent possible for the market at that time. A choice of tenants also comes to those who invest in well presented properties. The cherry on top moment is the shortest possible vacancy period. To get a property looking its best is not as expensive as you might first think. To get a property looking its best is not as expensive as you might first think. Professional photography for a campaign is now the norm plus property videos and 360 degree Virtual Tours are also becoming popular. In some instances, display furniture is even being invested in by Landlords. Legislation keeps the responsibility of vacating tenants to ‘reasonably clean’ so things like window cleaning, pruning and an exterior house clean can all set the property apart from the rest. But it may be wise to freshen up your property with a top-up clean or repaint to present it in the best way possible. When was the last time you inspected your investment property at time of a leasing and marketing campaign? Is this a property you would live in? If not, why not? What can you do to make it more attractive? There is no doubt that a fresh and clean feeling property will achieve the best response from the market, just as is the case in a sales campaign. More than this, a new tenant entering a property that is delivered in this condition will most likely start their tenancy without discontent around cleaning and or repairs. If you would like an Investment Health Check of your investment property or would like to transfer the management of your investment property to John Pye Real Estate, feel free to call us on (02) 9980 6777 or send us a message here via our website. This year we are proud winners of the Small Property Management Company of the Year Award. Contact us for more information as to why we are different from all other agencies. We also produced a video on the importance of presentation in properties which you can watch below.